Our passion is providing music to families and their children living with autism. Music for Autism and Moving Music are specially tailored concerts aimed at involving autistic children and their families and dementia patients and their carers in the live music-making experience. 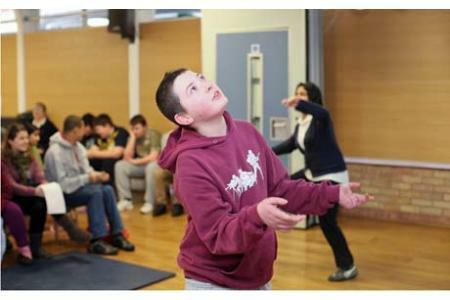 They offer stimulation and enjoyment to all, in whichever way is appropriate, in a safe and supportive environment. 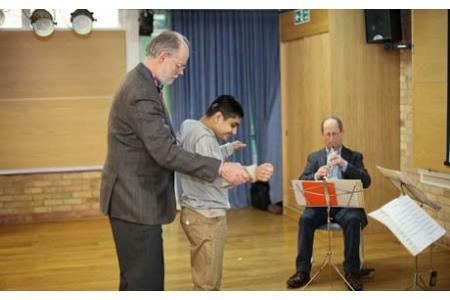 Musicians led by John Lubbock, perform a variety of classical favourites and lighter sing-along pieces in special schools, day care centres and small venues around the county. 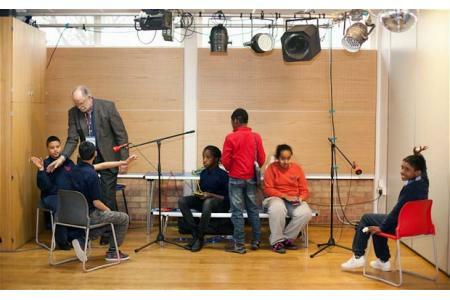 In an initiative led by John Lubbock and Christine Cairns, a quartet of musicians give their time to play for children inhibited from social interaction. Not your ordinary concert-hall atmosphere, The children are encouraged to get up and conduct. Most find the experience incredibly empowering, with a new feeling of control as they conduct with their arms and move in time. The tones and rhythms appear to touch the soul where words can fail, and children lose their inhibitions. Sessions are emotionally charged; the experience is mutually rewarding for the musicians as they use their skills to make a difference. A far more intense interaction than that experienced with the usual audience. Orchestra of St John's is committed to orchestrating stronger lives through music for autism and you can help. Your generosity will make a tremendous difference to the lives of individuals with autism and their families.